Answers from people that know, to questions we’re often asked. Q. Is there geological significance in the SE Asia Region, specifically where Besra is operating? A. Certainly yes, , SE Asia represents a geologically prospective region that remains grossly under-explored relative to places having a long history of exploration (such as Australia), where most of the easily accessible deposits have already been discovered and mined. Q. The Bau project in Malaysia is often referred to as “Carlin Style”. What does this mean? A. “Carlin” refers to the Carlin District of Nevada, where (in the 1970’s) Newmont Pty Ltd discovered fine-grained, low-grade, near-surface, sediment-hosted, refractory gold mineralization (similar to some of the Bau mineralization). This style of mineralization has since come to be widely referred to as “Carlin-style”. Some decades after discovery of this style of mineralization, high-grade deposits were found within Carlin district by drilling (to around 700m depth) beneath the near-surface deposits. The district has since delivered over 60M oz of gold (historic production + current resources). Mineralization within the Jugan Hill deposit is analogous with the low-grade, near-surface mineralization of the Carlin District – hence our strong interest in the higher gold grades intersected from around 275m vertical depth within Jugan Hill drill hole JUDDH68A. Q. Why should I be interested in the Bau project in your opinion? A. Bau is of similar size to Carlin District and is of similar geology. 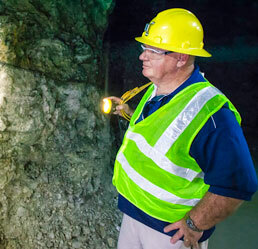 During the 40 years or so since discovery, the Carlin District has delivered over 60M oz of gold. By comparison, Bau has delivered only 6 M oz (3M oz historic production + 3M oz current resources). Thus the inference by geological analogy is that Bau Goldfield has as yet undiscovered potential. This inference is empirically supported by Bau exploration results to date (34 prospects at varying stages of exploration development). The folks here are more than happy to answer any in-depth questions you might have.